Oh Jones...: It's a new year! In January 2010 I made a list of things that I wanted to accomplish. Some of the things on that list took about 2 years to make happen, and some definitely did not and probably will not happen at all. However, I feel like a new year brings on new aspirations and so I thought I'd share a short list of what I hope 2013 brings to yours truly. 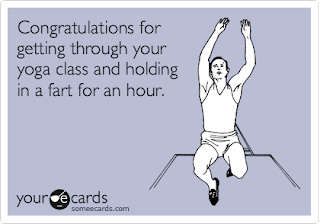 *Take a yoga class at the gym. This will hopefully help me relax and not be such a spaz. 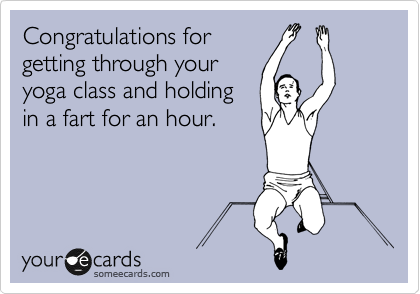 But mainly see if it a class full of people who really enjoy farting in public. 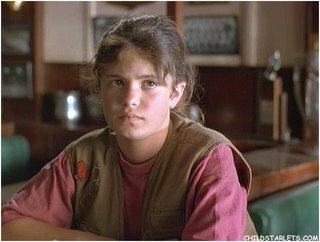 *Learn how to wear make up so that I look like a girl and not "Ice Box" from "Little Giants"
*I also aspire to learn how to curl my hair without burning my finger prints off. *I would like to take a tropical vacation of some sort. If that means that I throw sand down in my apartment during Shark Week so be it. *I want to read 20 books, because I'm a nerd & I like it. Not like literary masterpieces really, but just 20 solid books. I'll keep a list & let you know how that's going. *I want to go on a second date with someone this year. "Well weirdo you have to go on a first date with someone first," is probably what you're thinking. Let me explain. I have been on plenty of 1st dates. And by plenty I mean like four. But they never really lead to second dates because either they are mouth breathers who have "catfished" me via the internet or my charming skill of regurgitating what happened on the internet that day is not as romantic as I had previously thought. So, in an effort to put myself out there more, and because I want to have panic attacks daily, I figured I'd throw myself into the dating game in 2013. On second thought, we'll see how it goes....have I mentioned I've been really into that show "Catfish"? It may be that I count the dates I watch on the "Bachelor" as my own. January 7th Sean, I'll be awaiting my rose. *I'd like to craft & cook more because I feel like that'll beef up my dating resume. Just kidding. The cooking and crafting projects may be what I weep in to when I realize that it's December and my only dates were Ben & Jerry. *Finally I'm really looking to make one thing happen that has been haunting me for a year and a half: Make Adam Levine know I'm alive. I've been told by many that this is never going to happen. A ton of people tweet him. I'm going viral with this request. All I want for 2013 is a tweet from @adamlevine to @ashleyjonesy saying "Jones, it's me Adam, I know you're alive." .... that's what I imagine our twitter convo turning into. Anyway, good luck on all of your goals (you can do it!) and Happy New Year! I love it! Also, I'm really appreciating your appreciation for Adam's scruff. Love me some good scruff. Haha, you're hilarious. I'm gonna make this Adam Levine thing happen. I'm tweeting this to him STAT. May all your wishes come true! (Esp. Adam Levine) And I do hope they do, because they will surely make for some good reads. Happy New Year! I love when you pop up on my Google reader with a new post! Happy new year! I think we should try to help you accomplish these.... go on a first date with Adam to a yoga class (it's a laid back date), then invite him over for dinner (date #2!) and cook for him, then take a tropical vacation and read and discuss a good book together on the beach. (And if you bring his makeup crew along they can teach you to do makeup and hair!) I think that plan would accomplish most all your goals! I am new to Twitter - and just may help you with this viral tweet. We can make this happen! I'm @jessicanning if you'd like to connect there. LOVE THIS BLOG!!! Let's plan our tropical vacation; I am not above getting a discounted deal at a Sandal's resort.